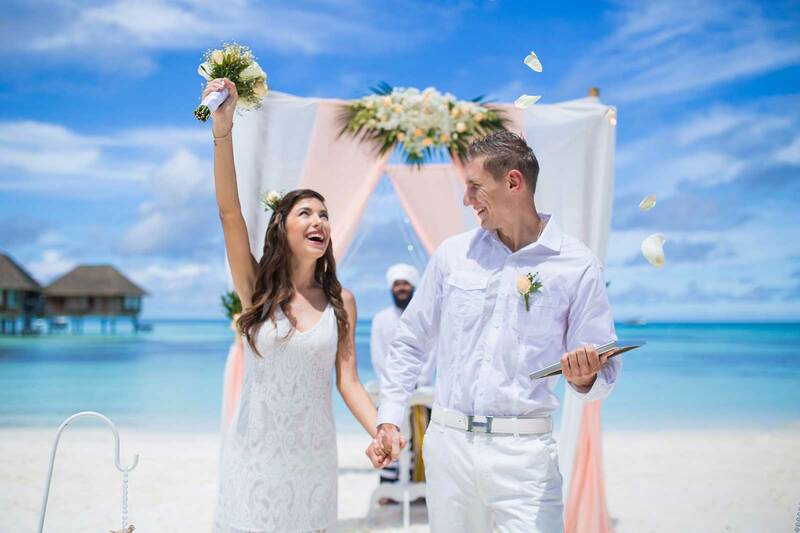 Eloping in the Maldives sounds like the stuff of daydreams, but for Viktoria and Alex it’s exactly how they chose to tie the knot. 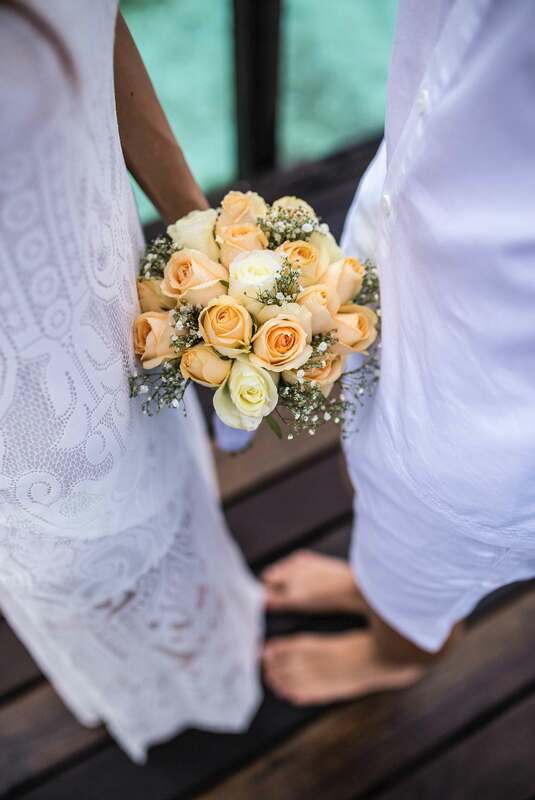 Escaping to the tropical destination’s Club Med Kani Resort, the two exchanged vows surrounded by only breathtaking water views and a few fabulous members from the couple’s planning team. 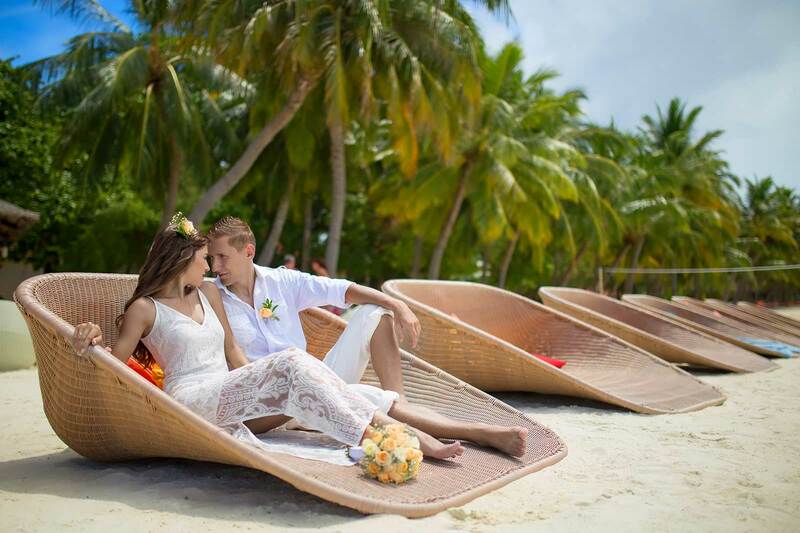 “We always dreamed of getting married in the Maldives,” says Viktoria. “It was amazing to just spend the day with your loved one and to not be disturbed by every day life.” We hear that. Capping off their special day, the newlyweds later enjoyed a scrumptious dinner and romantic cocktails on an overwater deck. 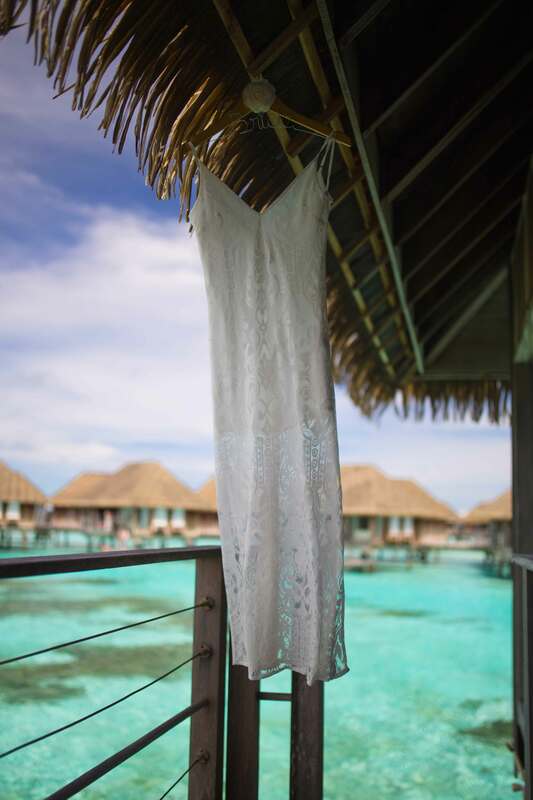 “Club Med Kani Resort is a real-life paradise,” says Viktoria. 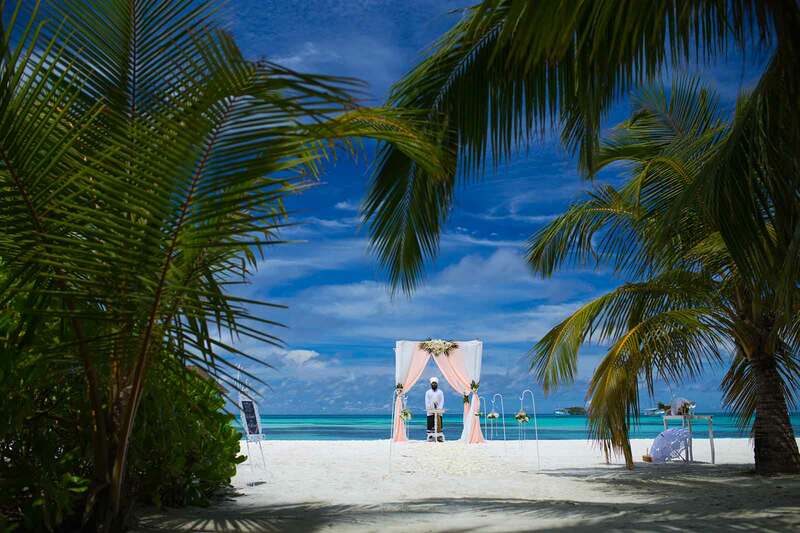 “We loved going straight from the wedding into honeymoon-mode and just sunbathing, eating, drinking and relaxing.” Sounds pretty hard to beat, if you ask us.